As trikes become more popular, trike sales continue to climb around the country. Trike-riding training programs are also springing up among the two-wheeled motorcycle riding courses. I remember when I sold my first trike. It was to a seasoned veteran biker whose health caused him to make the switch to three wheels. Although my new friend was an expert motorcyclist, and he had me convinced that he knew what he was doing, it didn’t take long for all of us to see that he was a rookie novice with that third wheel. When he let out on the clutch, I think his brain must have short circuited as he quickly processed just exactly what he was supposed to be doing. Wobbling and swerving, he barely missed the parked cars on side of his street. After that near miss, whenever I sold a trike to a “new” triker, I made sure to give them a few simple tips to help them safely along their way. 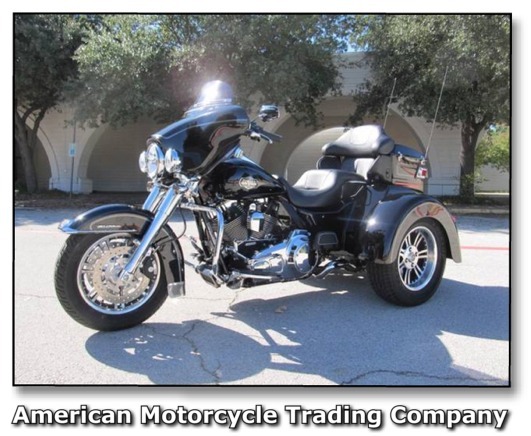 If you’ve been considering buying a trike, or having your motorcycle converted, maybe this will help . . . Riding a trike is both similar to, and completely different from riding a motorcycle. Similar in that the wind is in your face and you experience the joy of freedom that only comes from riding the open road. And as long as you’re looking straight ahead, you may even forget that you’re on a trike instead of a motorcycle. It’s different, in that maneuvering a trike is NOTHING like that of a motorcycle. After all, it really is a different vehicle, right? For example, you don’t lean a trike like you do a motorcycle. An easy-to-remember tip for sharp turns on a trike at parking lot speeds, is to keep your shoulders parallel to the handle bars. Turn left, lean right . . . and vice-versa. You’ll discover that, at higher speeds, you may need to adjust toward leaning into the curve. The point is, your trike will not lean, and your body weight becomes a counter-balance to maintain stability. Also, even if you’re accustomed to riding a bagger, the trike “IS” wider than a bike with bags. Beware of turning too sharp at intersections and into parking lots. This will prevent hitting the curb and discovering what it feels like to ride a catapault. OH! And always watch out for those beautiful rear fenders. Parking lot posts and gas pumps can produce a nasty and unwanted “custom by crash”. Don’t be afraid to use the clutch. Clutching and coasting in and around parking lots and other tight quarters helps maintain better control. And remember, trikes are very quick when traveling at highway speeds. So be gentle with those handle bars when changing lanes. One last thing. Keep your feet on the pegs! If you have ever ridden one of the earlier model ATV’s, you may have experienced the excitement of running a back tire up the calf of your leg. That probably wouldn’t happen with a full-sized trike because of its longer wheelbase. But it could, so no need to take unnecessary chances. I highly recommend about a 15-30 minute parking lot test driving exercise before ever getting into any traffic. Practice making slow circles and figure 8’s, smooth starts, and most importantly – stopping. Give yourself plenty of time to familiarize yourself with the basics, and the rest will come naturally. Please feel free to jump in with a comment about your own experiences and tips for a more pleasurable triking journey. And feel free to pass this article along to anyone you know who may benefit from its content.